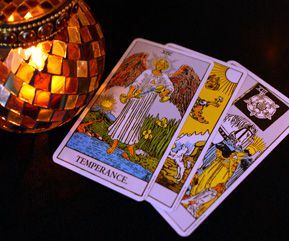 People who are studying the Tarot or working with their own psychic development often ask if they can read Tarot for themselves. The general concern seems to be about whether it’s possible to be objective when it’s a reading for you as opposed to when you might be giving a psychic reading to someone else. The short answer is, yes you can read Tarot for yourself! I absolutely love Tarot cards because of their amazing symbolism, but you’ll hear me say over and over again that they act as a focus for our intention and ability. The magic is in us, not them, and that magic is the psychic intuition which we all have and which is actually there to help guide us through life. That’s why you can read for yourself. So maybe the question we really have to start with is, how tuned in to your own psychic intuition are you before you pick up the cards and start using them? Psychic development involves practicing tuning in to our intuition and paying attention to it as a source of information that is just as important as anything you might see or hear. Often it can be more important, because we can distort what we see and hear whereas our intuition is usually very clear. We can dull our ability to tune in to own psychic intuition simply by not paying attention to it, either because it’s not really valued in our ‘rational’ society, because we drown it out with the noise of everyday life, or because it goes against what we want to be the case. The way to get better at reading for yourself is this. Start keeping a journal and when you do readings for yourself, jot down absolutely everything that springs to your mind without second guessing or censoring yourself. Just put it all on paper. You’ll get used to sensing when whatever is coming in is from your own psychic intuition and when your own voice is starting to creep in. Alongside that, make a note of how you were actually feeling when you did the reading. Were you calm and receptive? Were you excited, upset, or otherwise finding it hard to concentrate? How did you feel about what you saw in the reading? Over time, you’ll be able to look back and actually measure how close you were with what you wrote down by the way things unfold. That direct feedback will help you see where you are doing well and where you might need to improve. What you’ll probably find is that when you are calm and receptive, you are more able to listen to what your intuition is trying to tell you and that you do a better reading as a result. That way you can start experimenting with how to bring about feeling focused and centred before you pick the cards up. Regular meditation really does help with this. So try that for a few weeks and see what happens! Its really a very useful and amazing stuff. 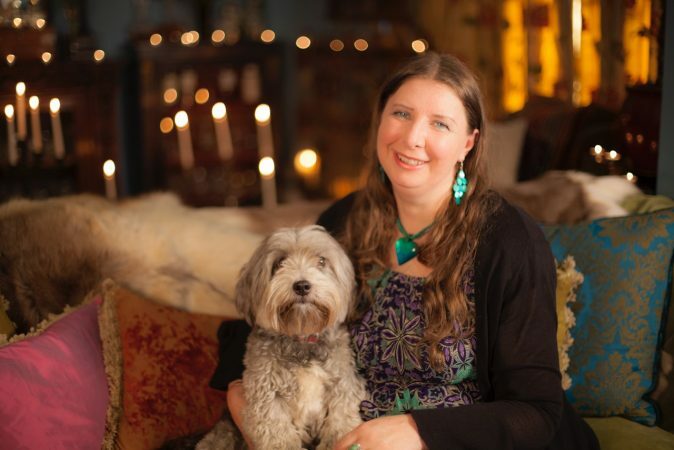 Our Psychic Sue gives a quick and brilliant lesson on how to read tarot using intuition. How To Read Tarot – Create Your Future! Did you know the Tarot is a powerful tool you can use to manifest your goals? Here Michele explains.